Basseterre, St. Kitts (SKNIS): Personnel of the Royal St. Christopher and Nevis Police Force and the St. Kitts and Nevis Fire and Rescue Services based in Tabernacle are feeling energized due mainly to the new 8,000 square foot building that is to become their home away from home. SKNIS spoke to Police Constable #724 Malien Johnny after the opening ceremony, who said that he was grateful for the new structure. Fire Officer St. Clair Challenger has been stationed in the area for the past 18 years. He stated that he was anxious to move in to the new facility and highlighted the existing relationship between the agencies. Members of the community were equally pleased to see the Tabernacle Police Station completed. Quite a large number turned out for the opening ceremony last Wednesday (March 12). 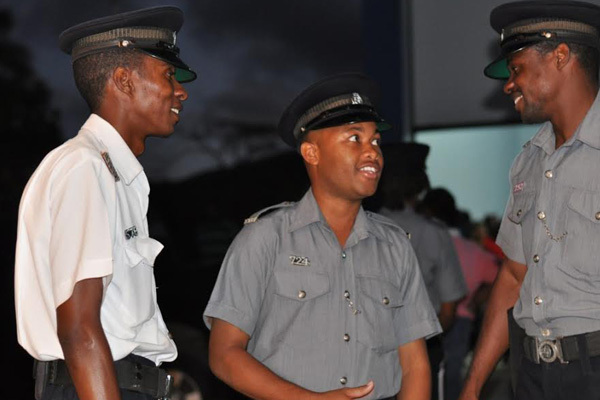 Twenty-two year old Zavier Morrishaw said “it was a great feeling.” He credited the police for doing “a good job” in the community but added that he expected the standard to be maintained and improved. The young man explained that he was pleased that more technology is being used in crime fighting. The Tabernacle Police Station was funded by the Government of St. Kitts and Nevis and the Government of Mexico.